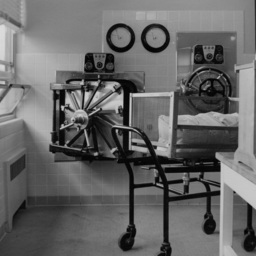 Photograph taken by William Hoyle Garber showing the laundry room at Shenandoah Memorial Hospital soon after it opened in 1951. 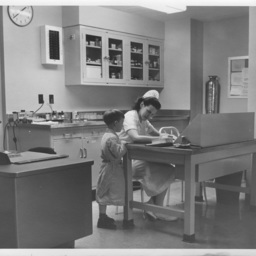 Photograph taken by William Hoyle Garber showing a nurse and child at Shenandoah Memorial Hospital soon after it opened in 1951. 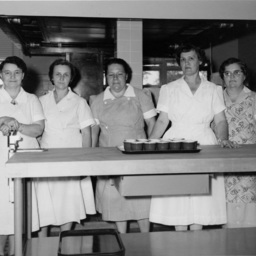 The nurse is Madge Clark, a long time nurse at the facility. 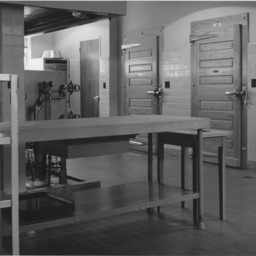 Photograph taken by William Hoyle Garber showing the morgue at Shenandoah Memorial Hospital soon after it opened in 1951. 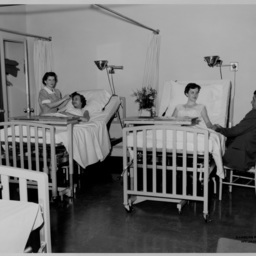 Photograph taken by William Hoyle Garber showing two women in hospital beds with an unidentified nurse and man at Shenandoah Memorial Hospital soon after it opened in 1951. 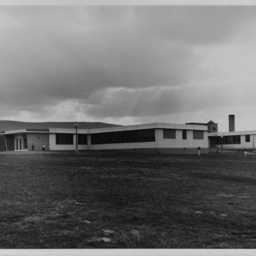 Photograph taken by William Hoyle Garber showing the exterior of Shenandoah Memorial Hospital soon after it opened in 1951. 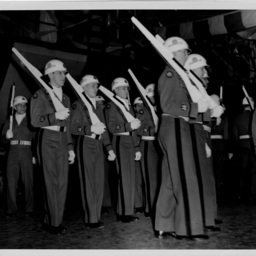 Photograph taken by William Hoyle Garber showing a group of cadets at the groundbreaking for Shenandoah Memorial Hospital on November 13, 1949. 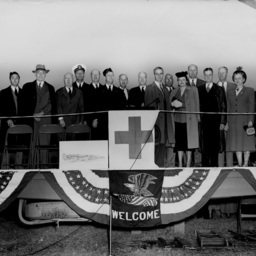 Photograph taken by William Hoyle Garber showing a group on the speakers platform at the groundbreaking for Shenandoah Memorial Hospital on November 13, 1949. 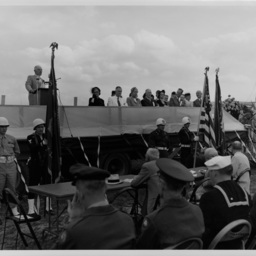 Photograph taken by William Hoyle Garber showing the groundbreaking ceremony for Shenandoah Memorial Hospital on November 13, 1949. 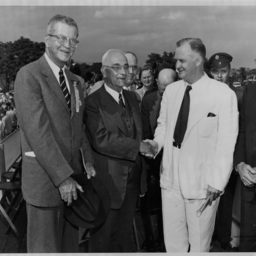 Photograph taken by William Hoyle Garber showing a group of men at the groundbreaking for Shenandoah Memorial Hospital on November 13, 1949. 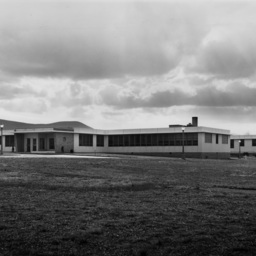 Photograph taken by William Hoyle Garber showing Shenandoah Memorial Hospital soon after its opening in 1951. 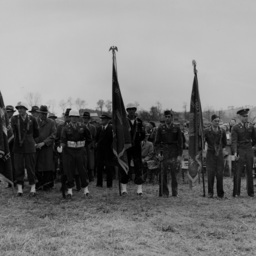 Photograph taken by William Hoyle Garber showing a military honor guard and a crowd at the ground breaking for the Shenandoah Memorial Hospital located in Woodstock Virginia. 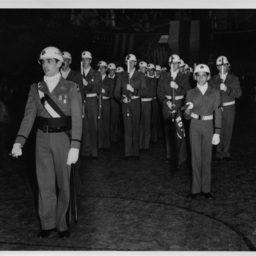 The ground breaking ceremony was held on November 13, 1949. 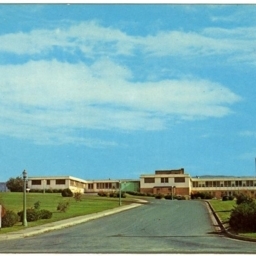 Color postcard showing a picture of the Shenandoah County Memorial Hospital located in Woodstock Virginia. At the time of the card, the hospital had 94 rooms and was fully accredited.